Our dealership is dedicated to supporting the communities that we service. We have donated over $17000 since June 2014. This support has come through a variety of methods. Whether it’s a prize or cash donation or a program initiated through Ford, we are proud to support our customers and their communities. If you have an event or organization that you would like to partner with us on, please stop by the dealership to discuss the opportunity. 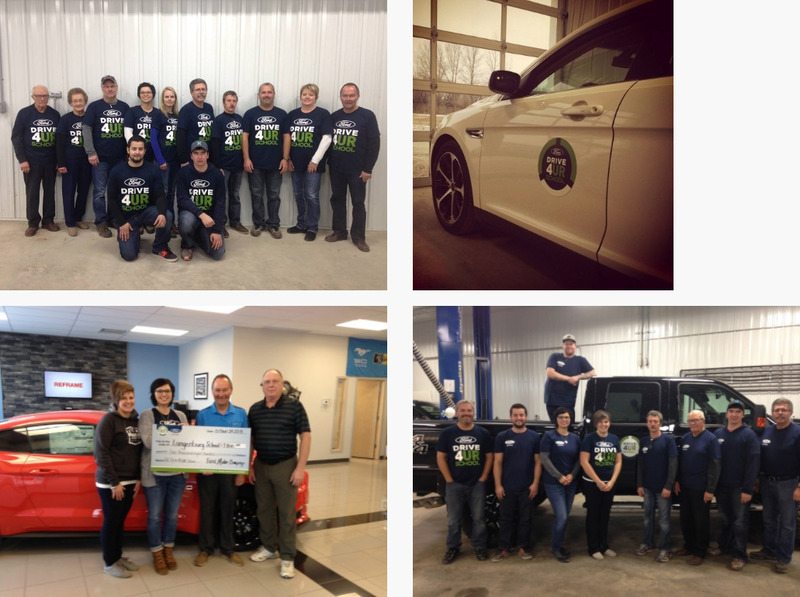 Langenburg Motors was proud to participate in the “We Scare Hunger” program that is an initiative of WE and driven by Ford of Canada. Langenburg Motors teamed up with students and the PAC Club from the Langenburg Central School. For the month of October Langenburg Motors and Langenburg Central School collected non-perishable food to support our community and raise awareness about local hunger. A collection bin was located at the school and at Langenburg Motors. Then students went door to door collecting on the evening of Halloween. Through their efforts we collected 1256 items!!!! These items were donated to the Langenburg Central School Breakfast & snack program and the local Hamper program.